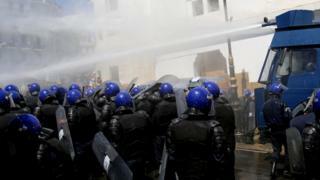 Algerian police have used water cannon to disperse protesters demonstrating against Abdelkader Bensalah’s appointment as interim president. 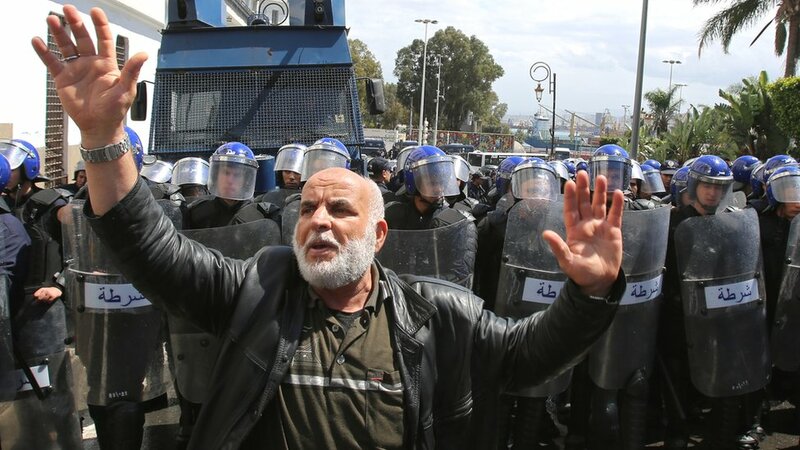 Mr Bensalah, the speaker of parliament’s upper house, succeeds President Abdelaziz Bouteflika, who resigned last week following weeks of peaceful demonstrations. But many want more radical change. Mr Bensalah, who will be in power until a presidential election, pledged to work in the interests of the people. “I need everyone during this period in our country to apply the constitution strictly, to work hard, faithfully and with dedication in order to return as soon as possible the word to the people,” he told members of parliament after he was appointed. He is due to be in office for 90 days. The allegation was that Mr Bouteflika was used as a front for a group of businessmen, politicians and military officials, who are said to really run the country.